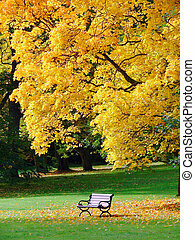 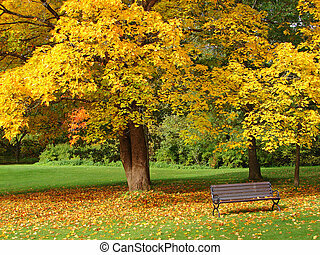 Bench and oak in city park in autumn. 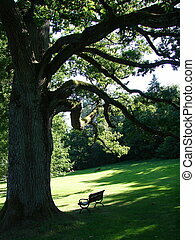 Bench and oak in city park in the autumn. 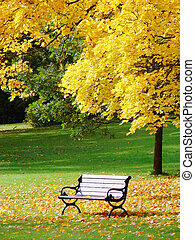 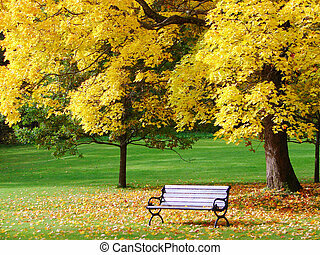 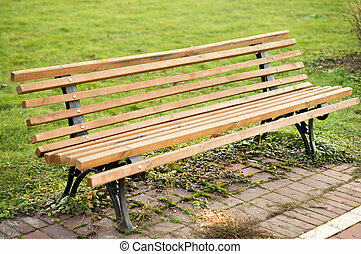 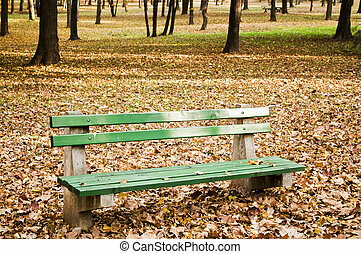 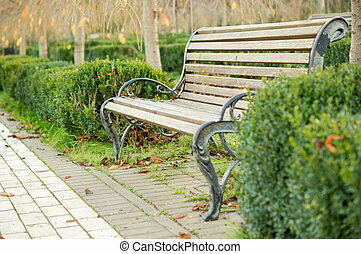 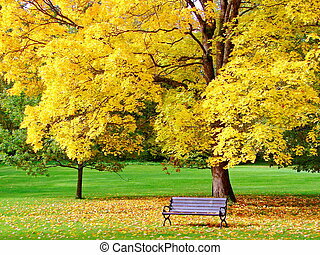 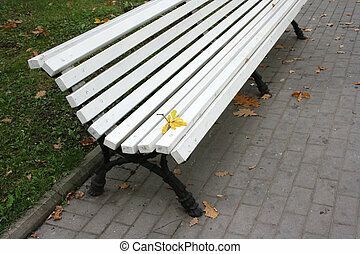 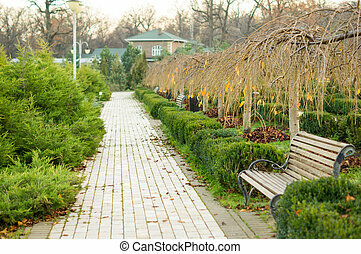 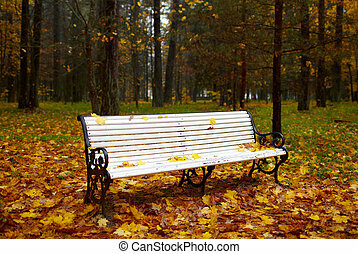 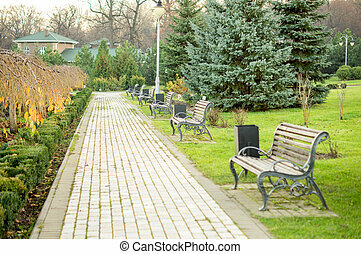 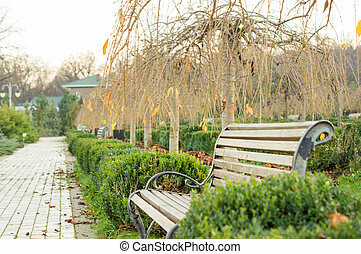 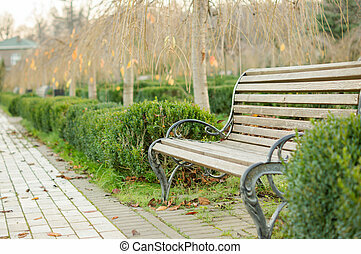 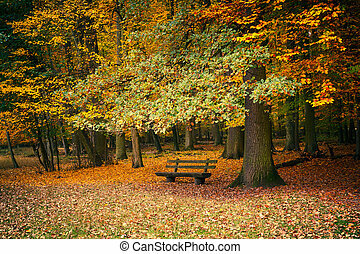 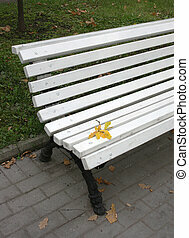 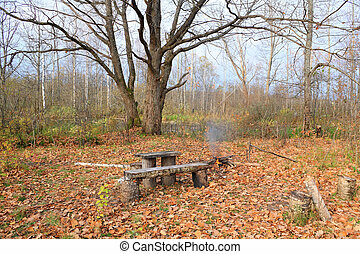 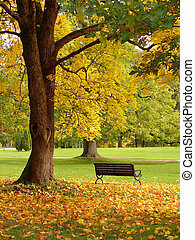 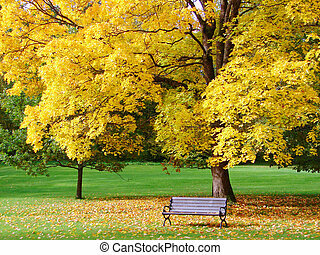 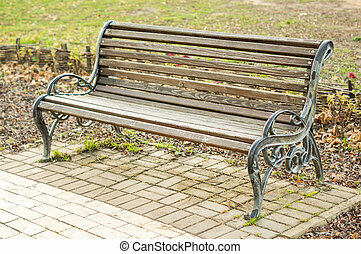 Bench in the autumn park. 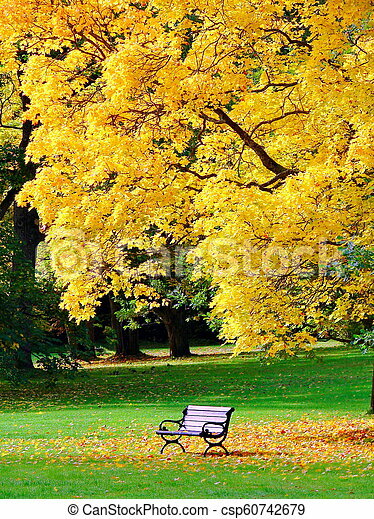 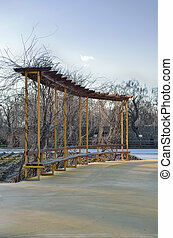 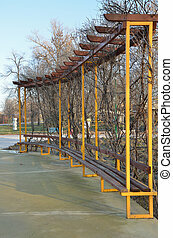 Exotic park bench in autumn.